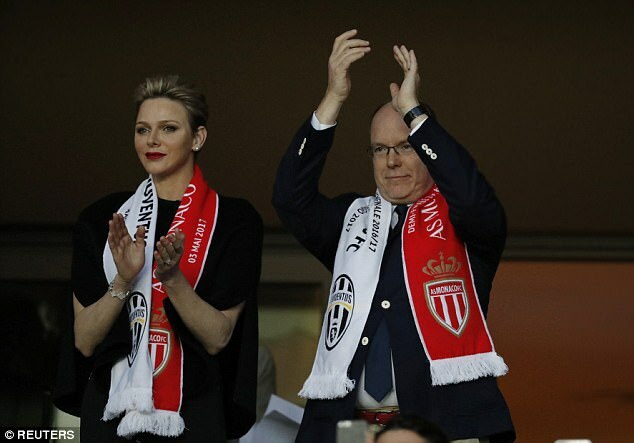 A couple of days ago the Princely Couple attended the UEFA semi-finals match between Monaco FC and Juventus FC at the Louis II Stadium. Turning out in a typical Charlene look, the Princess Charlene of Monaco stayed true to her fashion sense in a black Akris cape and black pants. The cape is no longer for purchase but I believe it's the same as the one worn by A Girl in Boston in the picture below. I like the outfit, but I'm very confused by Charlene's cape, especially that she has an almost identical Akris cape that she has worn twice in 2013. My theory is that her closet is now so big that she forgot the clothes she already has and just buys new ones! Contrary to what several websites are saying, Princess Charlene was not wearing an Alhambra bracelet. 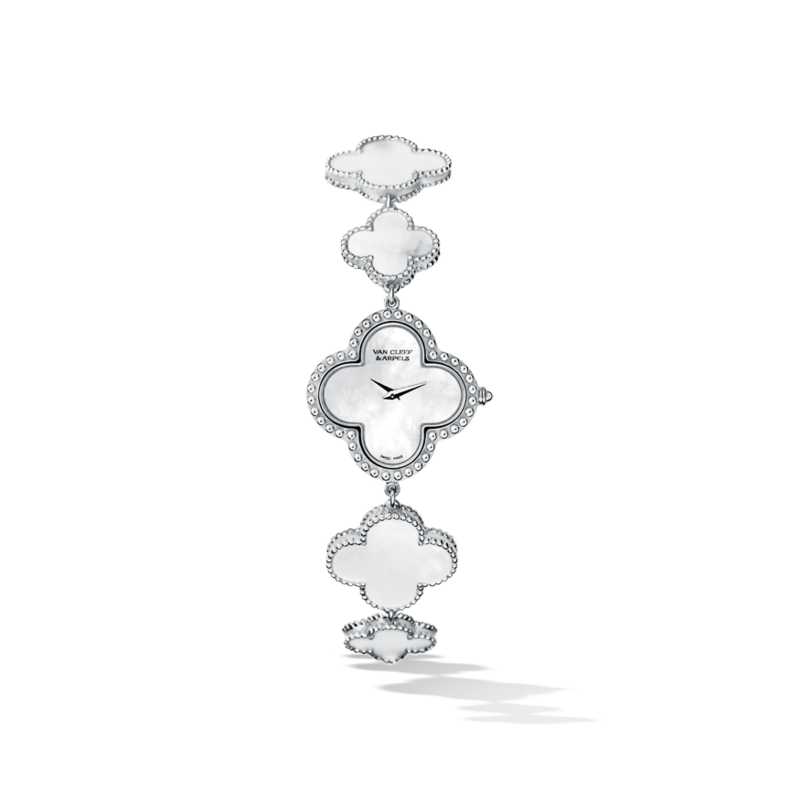 Char wore a Vintage Alhambra Bracelet Watch. If you look at the closeup, you will see the dials. The Van Cleef and Arpels creation is made of white gold and mother of pearls with 8 motifs. An Alhambra watch would set you back a little over 15,000$! What do you think of this multiple-cape-from-the-same-designer situation? why is she always looking like vinegar Lil? her constant sourpuss face is so off-turning.